Whether we are ready or not, the holidays are here again! It always seems like such a struggle to get past the crazy hustle of the season to simply spend time with family and friends. We hope that you are able to celebrate what is important about the holidays: friendship, generosity and love, to name just a few. We raise a glass to you and yours with wishes for a special holiday! Each family has its traditions…especially around the holidays. The Bogle family is no different. Warren, Ryan and Jody Bogle take a few minutes to reminisce about their childhood and some of their special memories of the season. 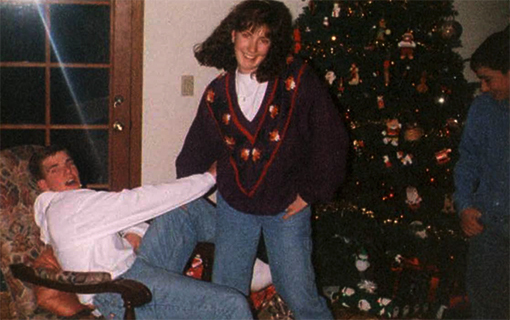 The holidays were always a special time in our house. With harvest in the rearview mirror and grapes dormant until early spring, it was a time when our parents could be a bit more relaxed. Christmas morning was always my favorite, when Dad would make his egg nog from scratch. The eggs, the cream, the sugar, the whole thing. He cooked a lot around the holidays and really liked to experiment with new recipes, but you could tell he enjoyed making the egg nog for all of us. The best part was the ice cream float in each mug. Of course, Dad and Mom got a bit of Jack Daniels on top of theirs as well, but the ice cream wasn’t too bad either. Christmas mornings were the best. Just like every kid, I could not wait to wake up to see what Santa had left for me under the tree. But we had a family rule: we had to wait until 7am to come downstairs. Looking back, I realize that this was probably the only day of the whole year that our dad wasn’t out on a tractor before dawn. So more than once this meant waiting at the top of the stairway with my brother and sisters counting the minutes. We could always hear Mom and Dad in the kitchen, but we just had to sit and wait…such torture for an 8 year-old! Finally, once the clock struck seven, we would race down the stairs like a herd of elephants. But I loved that anticipation, and knowing that such a special day was in store. My favorite tradition as a kid was decorating for the holidays. Our mom had all these boxes we would lug out and go through, like treasure. There was the Santa banner that hung at the top of the stairs, the Christmas mice wearing felt Santa hats, the handmade Nativity and, of course, the tree. Picking out and decorating our tree was my favorite. With all of us chiming in, we never agreed: bushy and wide, or skinny and tall? Colored lights or white? Angel on top or star? But it didn’t matter. We had hot cider and holiday music playing. It was wonderful family time and I think of it every year as I carry on the same tradition with my family today. There is a great chance that the bottle of Bogle Port you pour at your dinner party this holiday season was hand dipped in wax by Lupe Cruz. With 19 years at Bogle Vineyards, Lupe has hand-coated nearly every single bottle of our Petite Sirah Port produced at the winery. Using a special technique, Lupe carefully dips each bottle in red wax to help ensure a consistent seal and elegant look to our dessert wine. Over the years, it is easy to lose count, but the number of bottles Lupe has had a part in may rival anyone in the winery. 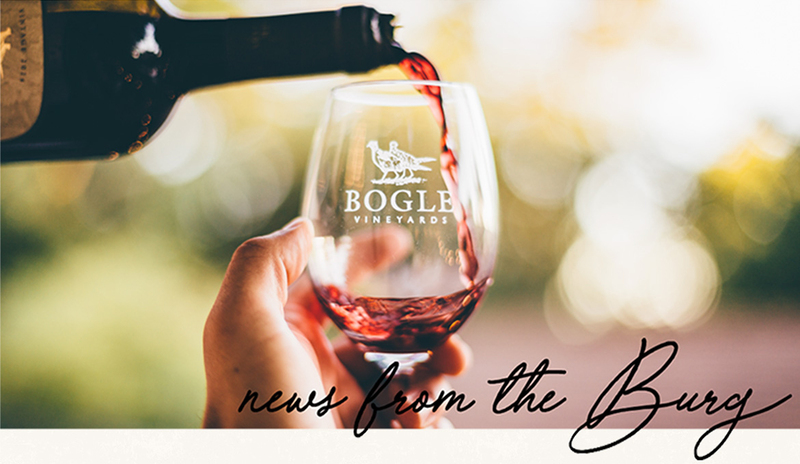 Lupe started in 1996 as one of Bogle’s original bottling line workers when there were multiple stations requiring work done by hand in the cold and drafty warehouse. Her fondest memory of the early days comes from one freezing morning in the warehouse. While over the years, technology has assumed some of those done-by-hand roles, Lupe has remained a vital part of the bottling process. Not only does she hand dip the port, but she is responsible for all special labeling, including some 50,000 cases of wine a year exported across the globe, equivalent to 600,000 bottles. Lupe lives in Clarksburg with her husband of 26 years, Francisco. The couple have a son, Francisco Jr., 25. 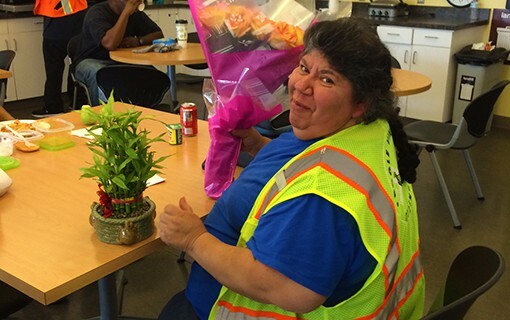 Over the years, Lupe has been notoriously camera shy, but we caught her celebrating in the break room a few years ago, pictured above.